Jason P. Tosches serves as director at CLB Partners. 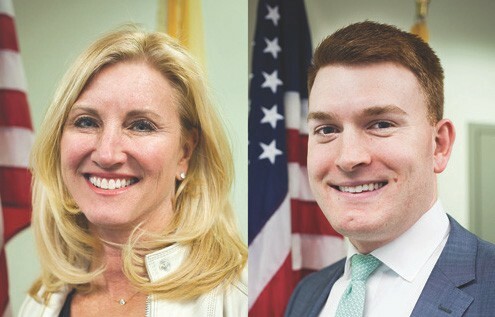 The Rowan College at Burlington County Board of Trustees recently welcomed Jamie Martin of Moorestown and Jason P. Tosches of Cinnaminson. The Rowan College at Burlington County (RCBC) Board of Trustees welcomed two new members on Tuesday, Feb. 21 who are skilled in business development and public communications. RCBC’s enrollment increased 3 percent this spring when most colleges’ enrollment continues to decline. Martin, chief marketing officer of Strive Physical Therapy, became a partner of the firm in 2009 and has been instrumental in growing the practice from one clinic to 15. A highly skilled physical therapist, Martin holds a bachelor’s degree in physical therapy from Thomas Jefferson University. She served as a trustee of the RCBC Foundation from 2015 until her appointment to the college’s board. Tosches serves as director at CLB Partners where he focuses on a number of complex public policy issues. He received a bachelor’s degree in political science from Moravian College. RCBC increased enrollment this spring for the first time in five years fueled by more out-of-county, new and transfer students.